All Raft frames and dry boxes are made to order, so contact us today to get your project started. At ColoradoRaft Frame Supply, we are craftsmen of beautiful handmade raft frames. Every client has a vision of the most ideal frame and we at CFS take pride in bringing that into reality. 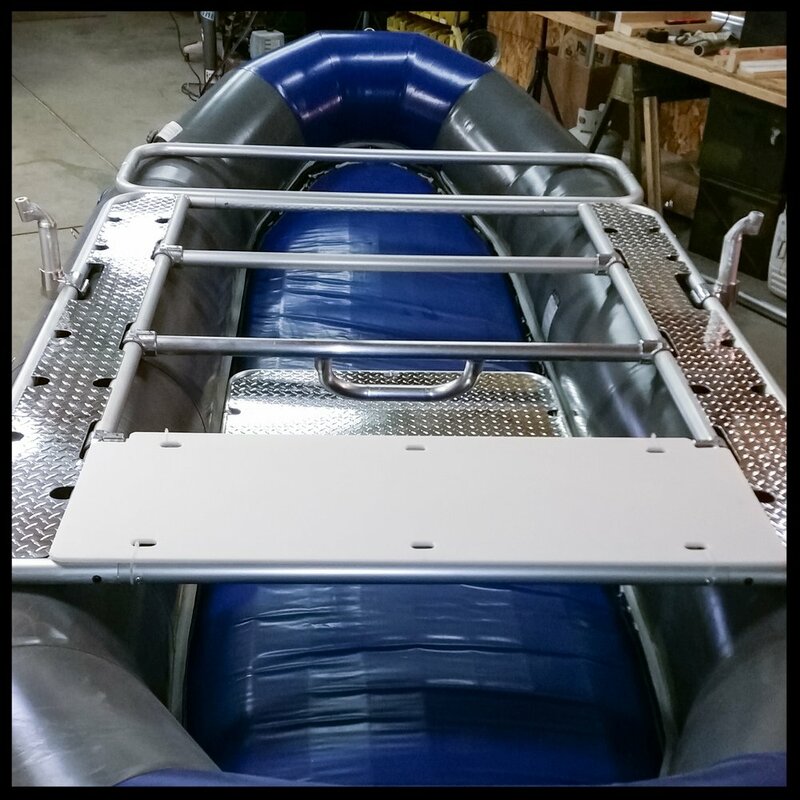 We work with you to create a custom frame to fit your specific raft and rowing needs. Each frame is custom built to your satisfaction. Using your raft specifications to fit the frame for optimum performance, we build with American made 1.5" schedule 40 6063 T6 anodized aluminum pipe and Hollaender Speed-Rail fittings which allow for easy breakdown and adjustments. Each frame comes with a lifetime guarantee. We categorize and price our frames less by boat size, but more by number of bays and features. Diamond plate, hatch decking, fishing accessories, dryboxes and seats all go into making a perfectly customized frame. Click below to learn about our frames, see a gallery of our frames in action, and see our custom made frame accessories. Click here to see our frames. At CFS we do not believe that quality craftsmanship and material must lead to sky high prices. With low overhead and an approach to fabrication that minimizes waste we endeavor to keep our customer's costs as low as possible. Click here to see our frames in action. You'll see details of frame construction, you might get a rigging tip, and you'll definitely see Kurt and Carter trying to catch a fish. At CFS, we make many of the accessories for your frame right here on the same floor where we make your frame. If you want a drybox or captain's box, you'll know it has been thought through with the same attention to detail so it will fit your frame like a glove.